If you’re like most email marketers, most likely you’re not doing it right. And, it’s really not your fault. Most people just don’t know the secret strategies to write effective emails – emails that people actually open – emails that prompt people to say YES to your call-to-action. The first four items in the list above are side roads to the fifth item – to sell. 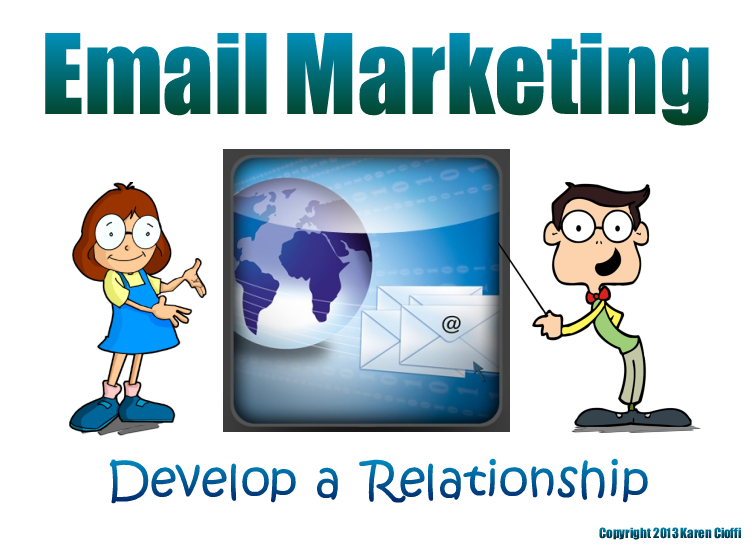 So, most likely you fall into one of those five categories, which makes you an email marketer. Powerful emails should be focused on doing four things: (1) getting people to open your emails, (2) getting people to read your emails, (3) helping people), and (4) getting people to respond to your call-to-action. The very first step to writing powerful email messages that do what they should is to understand what an autoresponder is and its purpose. An autoresponder is a feature or tool that email services provide to allow you to automatically send out one, two, or a series of automatic messages to your subscribers. Email services that offer this tool include, iContact, Aweber, Constant Contact, and Mail Chimp. How many messages should your initial round of autoresponders contain? You should create a series of 10 to 12 automatic messages. In the online world, a ‘touch’ refers to some form of online communication or contact. With email messages, Martin advised that it takes a minimum of 10 email messages to satisfy the ‘seven touches’ approach. Knowing how many initial messages you should send out to influence conversion will help you make sales. So, using this knowledge, you should create 10 to 12 autoresponder messages and they should be written and set up to go prior to putting the email opt-in on your website. These messages will be in place to secure your relationship with your subscriber and motivate him to convert from a subscriber to a customer. Want to get your inbound marketing moving forward? Get your inbound marketing moving forward with Get Website Traffic with Inbound Marketing. This is a 4-week e-class that covers: optimizing your website, blogging smart, email marketing, and social media marketing. Plus there's a Bonus Lesson!